This entry was posted in osde and tagged addon, bandwidth, firefox, sysadmin on 08/03/2007 by osde8info. I;ve just plugged in my FON and turned it on then ran wi-fi radar and discovered there's now a choice of eight access points in my house. 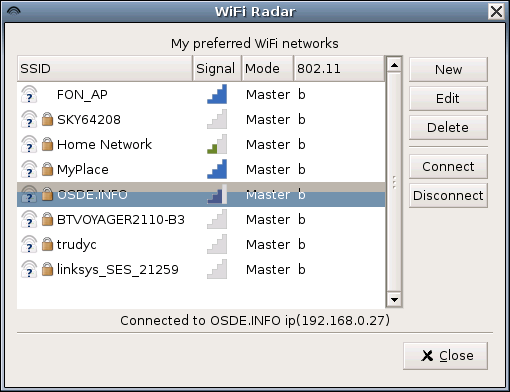 You can install WiFi Radar from Ed/X/Ubuntu apt/aptitude/synaptic or get a tarball from wifi-radar.systemimager. 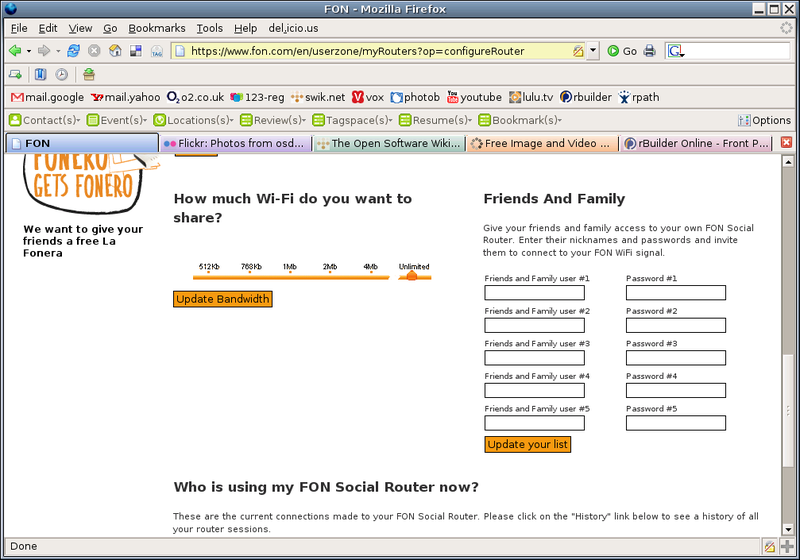 This entry was posted in osde and tagged 11b, 11g, bandwidth, community, fon, sharing, wi-fi, wireless, worldwide on 23/02/2007 by osde8info.